Something of a journeyman as a player, Allegri has become anything but that as a coach. Making his name at lowly Sassuolo and later. Cagliari, his first really big job came when appointed AC Milan coach in 2010. Having led Milan to the title in his first season in charge he then took the reins at Juventus in 2014. Building one of the greatest defensive sides to ever grace Serie A, Allegri's spell in charge of "The Old Lady" has been nothing short of dominant. In 2018 he became the only manager in any of the top five European divisions to lead a side to a domestic league and cup double four years in succession. 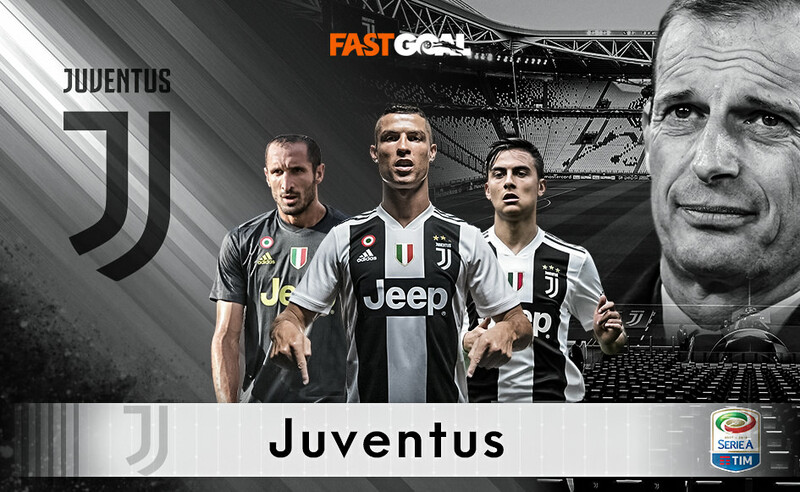 Already seeming just about untouchable when it comes to the defensive side of the game, Juventus are beginning to look almost as formidable in attack. The signing of Cristiano Ronaldo would improve the goals expectation of any side in the world, whilst Douglas Costa looks a superstar in the making and has now joined on a permanent basis from Bayern Munich. Leonardo Bonucci joins Mehdi Benatia and Giorgio Chiellini in what is a stellar back line, whilst Emre Can looks a shrewd free agent pick up from Liverpool. The back-ups have also been strengthened with Mattia Perin and Andrea Favilli arriving to provide support in the goalkeeping and centre forward positions respectively. It hasn't all been incomings though with Mattia Caldara, Rolando Mandragora and Gonzalo Higuain amongst those to move on. Having done it in England and done it in Spain it's next stop Turin for Cristiano Ronaldo as he bids to further enhance his claims to being the greatest player to ever lace up a pair of boots. Bringing a simply phenomenal goal scoring record of 573 goals in 763 games expect fireworks from the Portuguese megastar as he tackles Serie A.
Napoli kept pace with Juventus for a long way in Serie A last season, but they do look to be quite significantly weaker this time around. Juventus on the other hand look even stronger and it would be a major surprise were they not to be crowned Serie A champions once again.